Finally our vacation, and everything that goes whit it. Last week we were exploring Lefkada island (Greece) and all I can say is wow. The plan was to take take at least a few pictures of our jewelry that you haven’t seen before. 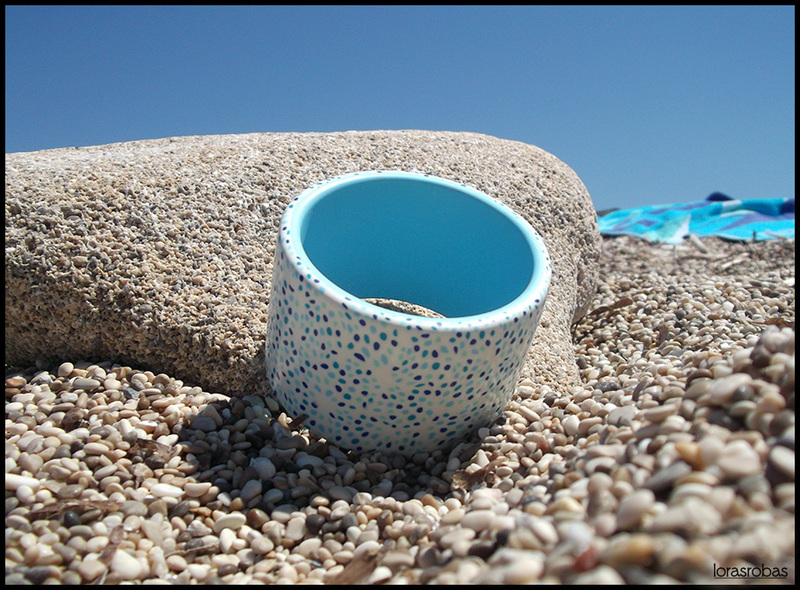 We took these photos on one of the nicest beaches on the island and named this collection Sea pebbles. The bangle is around 5 cm wide and the inner diameter is approximately 6,5 cm. Even though the first part of our holiday is over, we are looking forward to a whole week reserved for creating. Tagged bangle, blue, millefiori, polymer clay, white.